Much of the United States is feeling the impact of summer's return. You may not care for a pile of wool on your lap as the temperatures rise. Having a smaller project in one skein (or less) of Manos del Uruguay yarn by your side is easier to take with you and work on when you head outside. Today's post spotlights those grab-and-go projects! Wolkig, named after the German word for "cloudy", is a project you can work on everywhere you are this summer. The pattern calls for one skein of Manos del Uruguay Fino and has only one line of instruction! 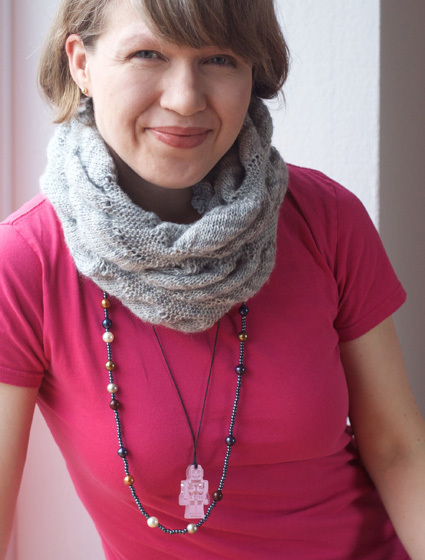 Martina Behm's design is available in the new Knitty. 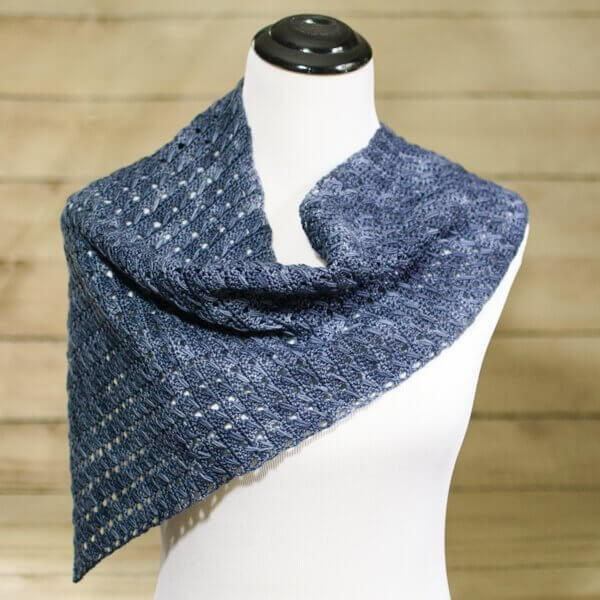 Kara Gunza, of Petals to Picots, has a new free crochet pattern. One skein of Manos del Uruguay Alegria will work up into the Any Season Asymmetrical Shawlette. A peek at Ravelry gave us more ideas for portable projects! Katelynzhou's Traveling Woman in Fino, Kadreco's Kristi socks in Alegria, and Dawnamaw's Flashdance Socks in Alegria. Wherever your travels take you this summer, don't forget your project! We really love to see, comment on, and share your photos of Manos Yarns on Facebook, Instagram, and Ravelry.